Our next destination takes us from one set of mountains to another, at the frosted peaks of the Bernese Alps in Lauterbrunnen, Switzerland. Switzerland is home to many notable drivers. However, the country itself hasn’t seen any circuit racing since the 1955 Le Mans disaster, where all forms of motorsport racing (with the exception of hillclimbing) were banned in the aftermath. This changed many years later, however, when a bill proposed in parliament to lift the ban on motorsports was passed in 2009. Spearheaded by a wealthy group of individuals who own a chain of luxury ski resorts, one of Switzerland’s first new courses was constructed in Lauterbrunnen, Switzerland, up in the peaks of the Bernese Alps, between the Aare and Rhone river valleys. 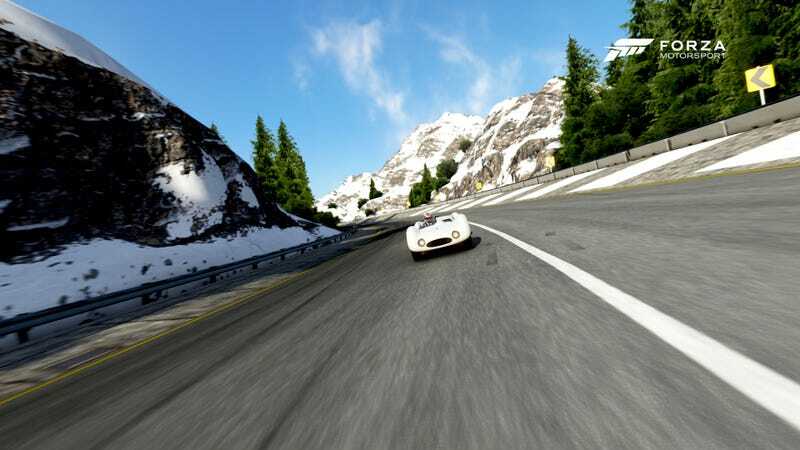 It is a state-of-the-art road course that starts at the paddocks at the ski resort, running along old twisting mountain access roads and tunnels, and through a town in the area. The wide tarmac, long sweeping turns, and elevation changes provide a high-speed experience for many types of cars on this course. Meanwhile, spectators are treated to wide, sparkling mountain vistas and roaring fast cars. It’s quite an ambitious way to start racing again in Switzerland, and the course currently only runs lower-key events such as club events and track days for automotive enthusiasts, but the owners of this course hope to one day host major events such as World Touring Car races, Grand Touring sports car races, and hopefully one day - Formula One. Enjoy the view, but be wary of high speed twists and turns. The lap time to meet for this week’s race is 1:30.5, and we will be running on the Club Circuit Reverse configuration. Please take plenty of time to familiarize yourself with the track and to tune your car.